(Clutch Magazine) -- The saga that is Chick-fil-A and Christianity vs. the LGBT community and its supporters might be remembered as one of the most complex snapshots of modern society. 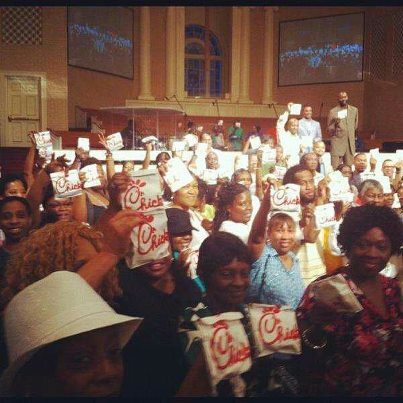 When Mary J. Blige sang her heart out about “crispy chicken,” some black people rushed to call it “coonery.” Yesterday, some of those same people sprinted to get fried chicken from Chick-fil-A and were proud of it. In fact, Facebook was adorned with black folks loving that “chikin,” all to support a man who has no problem employing and serving the LGBT community, as long as he can take their dollars to financially support conservative politicians who view them as second-class citizens.